I think it's utterly safe to say that I am not the only one with a slight affinity for stationery. 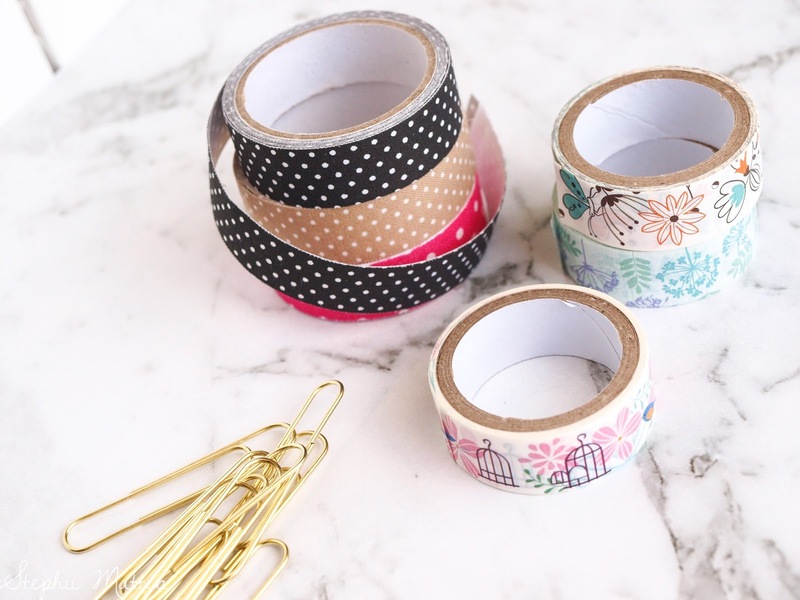 I think it's probably an unspoken requirement for most bloggers to be somewhat obsessed with washi tape, notebooks and cute little clips. Just me? 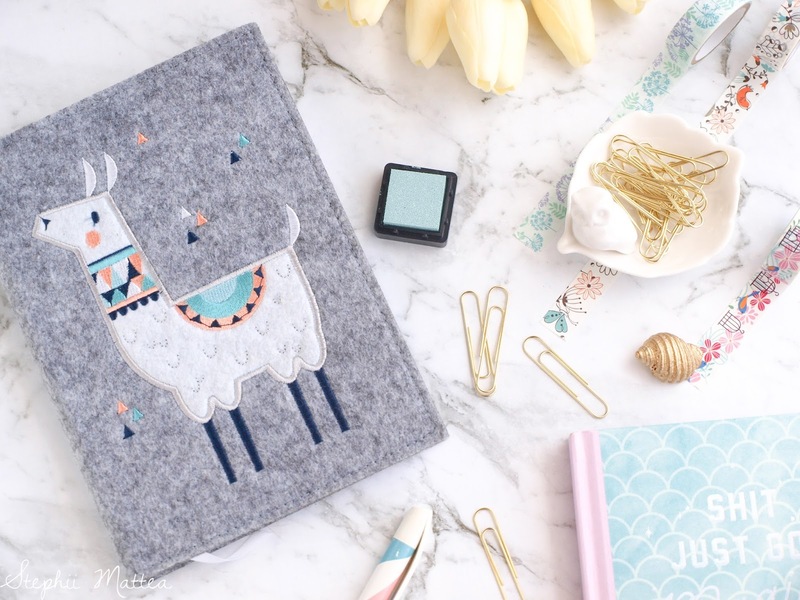 This year I wanted to make more of an effort to be more organised, especially for the blog. It has only been one week, and already I'm finding a huge improvement overall when it comes to engagement across some of my social media accounts. I owe a major part of that to my planner and notebook, in which I keep track of all my activities, tasks and stats. I found this planner at Typo, and knew that out of all the ones I had seen for weeks, I wanted this one. It was half-priced during the Boxing Day sales which made it super friendly to my wallet, and it was compact enough to fit into my bag. Even though I'm not altogether crazy about mermaids, I could not deny that the mermaid print along with the holographic text held a certain appeal. I also really like the colour scheme. The pages of the planner are pretty basic, each month starting with a calendar for the month, followed by a blank page for notes. Then there is a weekly spread for each week of the month, which then ends with another blank page for notes. There's an even amount of space for every single day of the week except for the weekend, which is condensed into the same amount of space as one weekday. That is a bit of a bother since I do a lot of blog work on Saturdays, but it's manageable. I installed a ribbon page marker as a way to mark the week that I'm on so I don't have to waste time looking for the page. I made a tutorial for the ribbon page marker, so if you would like to find out how to make your own, here is the link. 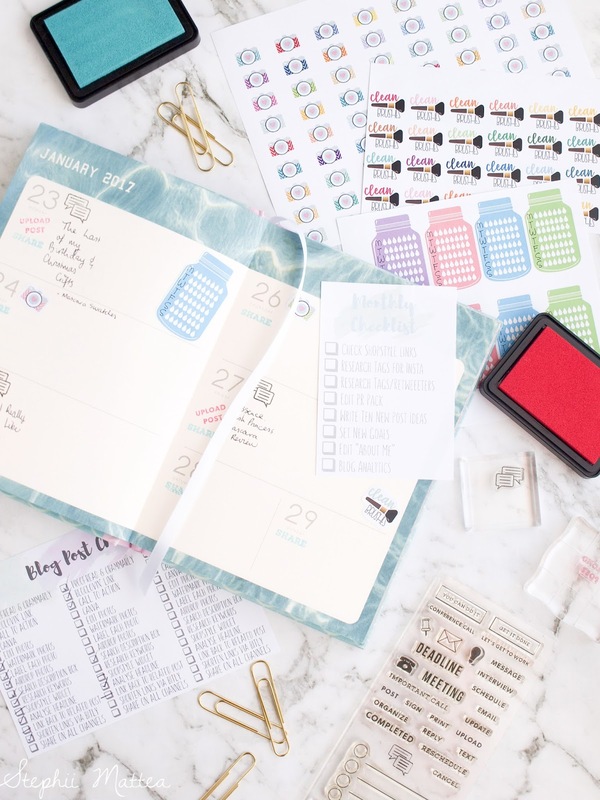 Inside the planner, I use a variety of stamps from Hero Arts Clearly Kelly Work Stamps, as well as pens, and printables that I cut out and glued to the pages. I use camera icons as a reminder to take photos, and I found the printable here, while I use these brush stickers to remind myself to wash my brushes and a drink counter to monitor my water intake. The last two aren't blog-related, but I wanted them in the planner anyways. I created two checklists for the blog; one for each blog post that I publish, and one as a monthly reminder to do certain things. I attach them to the pages using paperclips that I found at Officeworks. I had my checklists printed at Officeworks because I didn't have any colour ink, and it was just easier to get it done than to waste money on ink when we rarely ever use the printer. I found the notebook at Kmart while browsing online for a new notebook to replace last year's one as the pages were running out. I saw the cute design and colour scheme, and I just loved it. What people need to know about me is that my taste is quite eccentric. I like rose motifs on tea cups, geometric shapes, gold and lots of it (not glitter, though), the colour mint, animal elements, vintage and antique decor, and retro prints. I also like bohemian and industrial designs, as well as patterns. I also go batty for cute whimsical designs. In my notebook, I separated chunks of the book into categories, so that I had a posting schedule for each month, a section on products that I needed to review, a section for blog posts ideas, one for a list of props and another section for analytics and stats. I have a couple more sections that I would like to add to the book, but I need to figure out where they would go and how many pages to allocate. I separated the sections by sticking washi tape across a page until it extended the edge, and then folded the tape over to the back of the page, leaving a little tab. This lets me locate the section I'm looking for without fumbling around. I use stamps for this notebook as well, namely the pencil stamp to mark which post I have written and posted. I have this system with the posting schedule, where I list my posts in order on one page, and use the other two pages to write down my ideas for the photography and to note down anything I wanted to talk about in particular for a certain post. I think having something fun to look at and use on a daily basis really helps to boost your motivation when planning blog posts. All I had last year was a plain notebook and a diary that I used as a to-do list and tick them off when they were completed, as well as to remind myself of any appointments or engagements. My motivation has gone up like 200% ever since I started using these tools to organise my posts and blog activities. I'm still working on my calligraphy, so it looks a bit clumsy. My handwriting's never consistent; some days it's small and neat, some days it's slanted and jointed, and other days it's harried and wide. By the way, I'm eagerly counting down the minutes until A Series of Unfortunate Events comes out on Netflix. I am just so excited, because I read the books when I was a child. It was one of my favourite book series while growing up and for a time I wanted to be Violet the inventor. I can't wait to see how Neil Patrick Harris pulls off Count Olaf, because Jim Carrey was way too comical in the film adaptation. In fact, the film adaptation was one of the worst book to film adaptations I've ever watched. While I sit here on the couch waiting for the damn show to come online, my stomach cramping because Aunt Irma has come to town, I'm just going to do some blog writing. I've got a busy week next week so I spent some time today taking photos, and I came up with a new photography setup that I am just so happy about. I made a reflector because the sky was too bloody grey outside for a summer's day, and it worked out really well. I'm thinking of doing a tutorial on the DIY reflector, what do you guys think? 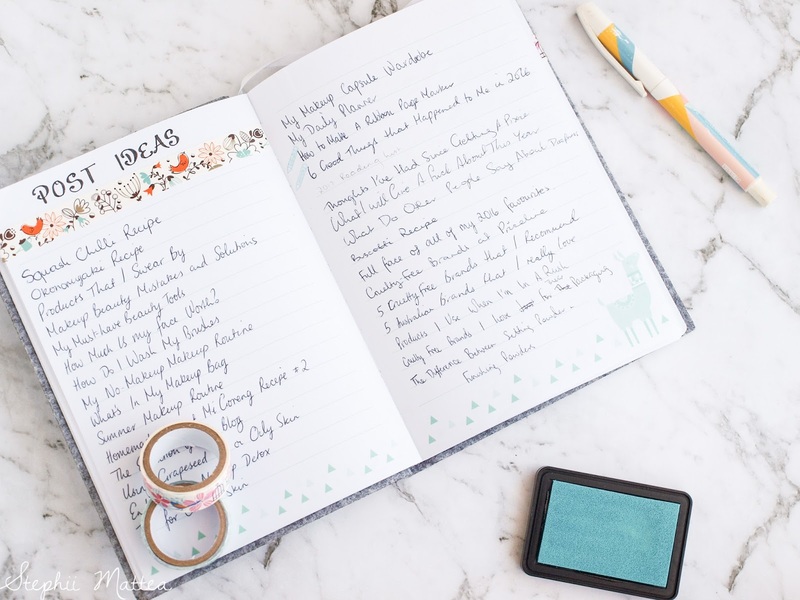 How do you organise your planners? 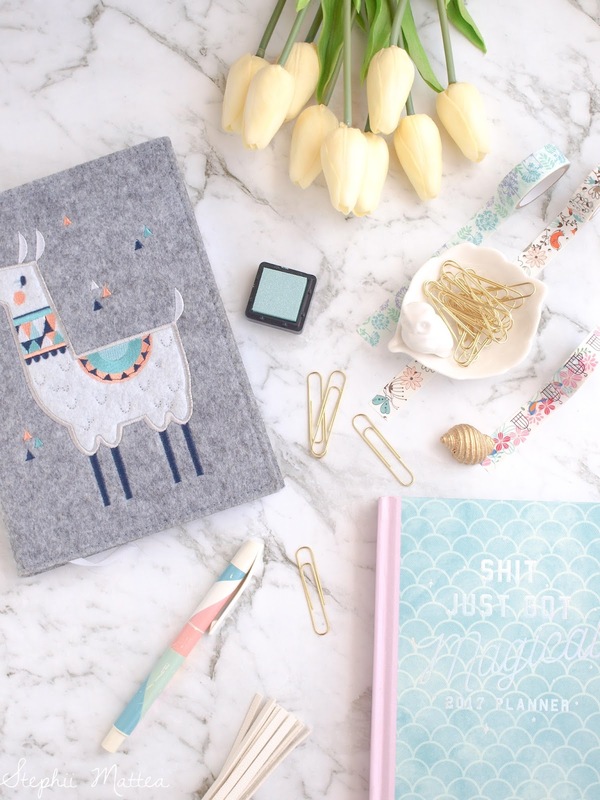 What are some of your favourite stationery pieces?